What is the most important thing you’ve done for your allergies? 2 things have made the biggest improvement on my life. 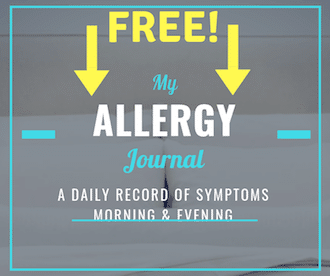 Allergy covers for my mattress, pillow, and comforter have helped improved my sleep while keeping dust mites away from my body. I would not recommend waterproof covers as they will make you sweat. A good microfiber or 100% cotton dust mite cover will work great on a bed and you won’t notice it’s there. While bed covers are preventative, allergy shots are the closest thing to a cure. I’ve been on allergy shots for 5 years and although they aren’t cheap, they are more than worth it. I feel much better and I feel in control of my life for the first time in 15 years. Prior to starting allergy shots, I felt limited in what I could do because I didn’t want to exacerbate my symptoms. No. we just mention them. Be careful what products you buy for dust mite allergy. In our blog posts I mention trustworthy and proven products that should help dust mite allergy and asthma. Are your products available outside the United States? We don’t have products, but some of the products we mention on our website may be available outside the U.S. Most of the products we mention are from a website called Amazon.com. If you have an e-commerce website in your country they might offer the same products. How do you rank products listed on your blog? Products listed on the blog are evaluated from personal use, allergist recommendations, and/or reviews taken from well-established websites. Reviews are developed based on price, comfort, and quality. We suggest using established allergy brands such as Mission Allergy, BedCare, Allersoft, as well as vacuums with high-efficiency particulate arrestance (HEPA) filters and allergy-quality HVAC filters (high MERV rating) which filter the smallest particulates from the air. You can check our recommendation page for some of the best items. Are dust mites the same as bed bugs? Bed bugs are a serious issue that should be treated immediately. They are larger in size and their bites often leave welts on the body. They can spread through clothes, carpets and bedding. Bed bugs should be chemically treated and/or bedding should be put in the hot sun to kill them. Dust mites are microscopic and a mainstay in homes everywhere. You should actually expect to have them in your house. Dust mites are usually harmless and cause no health problems, however, a small percentage of people may develop respiratory or skin allergies when in contact (usually during sleeping). If you suspect an allergy you should be tested by an allergist and purchase pillow and mattress covers to minimize your exposure.